What exactly influenced our decision to visit The Old Mystic Inn remains a topic of conjecture, but one thing was for sure – we were battle weary and in desperate need of a few days of rest and relaxation. Perhaps it was the delightful experience of our previous visit to the greater northeastern United States and our enchanting encounter with the quaint, historic town of Mystic, Connecticut or the quintessential country colonial decor, the white picket fence, the gazebo, and the promise of shade under the large maple trees surrounding this serene resting place. In some way, it may have been the soft, inviting photos of the guest rooms, and conceivably, the whispers from the voices of famous New England authors calling to us from the old book stacks that once lined this classic abode. Whatever the case, it was one of the most gratifying and refreshing experiences we’ve shared and one we look forward to repeating in the near future. Our rendezvous with respite included a warm and inviting welcome by Executive Chef and Owner, Mr. Michael Cardillo, Jr., relaxation in the cozy, common areas of The Keeping Room, The Parlor and The Library, and a dreamy night’s sleep in The Emily Dickinson Room, where a shuttered bay window provided a delightful view of the autumn leaves dancing in the morning sunrise. There was no need to set an alarm clock, as the aroma of a freshly prepared, exquisite gourmet breakfast of eggs, grains, and fresh fruits wafted from The Henry Wadsworth Longfellow Dining Room below, inviting us to discover the possibilities of a new day. While the peaceful surroundings of The Old Mystic Inn embraced us in its consoling and solacing arms, beckoning us to linger for just a while longer, it conversely enticed us to explore the charming and scenic attractions of vintage downtown Mystic, including The Mystic Seaport (The Museum of America and the Sea), The Mystic Aquarium & Institute for Exploration, whaler cruises, historic art and Indian museums, golf courses, cider mills, lighthouses, and of course, a wide variety of pleasant surf and turf dining establishments, including the infamous, Mystic Pizza. 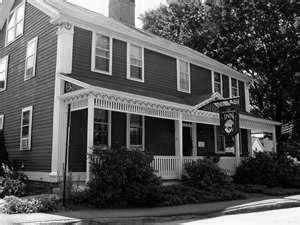 As an Editor’s Pick in the Yankee Magazine Travel Guide to New England, and a 2013 winner of Tripadvisor’s Certificate of Excellence, The Old Mystic Inn also provides special packages, including personal and family celebrations, picnic lunches, The Perfect Storybook Wedding, and Afternoon Tea. An affiliate of Bed and Breakfasts of the Mystic Coast & Country, Karen Brown’s Guide, and MysticBandB.com, the inn offers reasonable rates and competitive prices, and is well worth the investment. Thank you Michael Cardillo for sharing your excellence in hospitality with all of your guests. We look forward to seeing you again soon! Scott is currently accepting speaking engagements, but on a limited basis. For a current schedule, please go to the "Appearances" tab of the main menu. For inquiries, please go to the "Contact" tab on the main menu for contact and booking information. Sign up to receive Scott's latest newsletters, blogs, and featured posts via email. Whenever Scott post fresh content, he will send you an email message. Just enter your email address below and click "Subscribe Here". You can unsubscribe at any time. Privacy Guarantee: Scott will never share your e-mail address with anyone else. "Never interrupt someone doing what you said couldn't be done." Thanksgiving 2014 – Thanks For Nothing! Follow Some of My Favorites….